Waited long for this figure to come out. I really like the battle damage on his shield. Makes it look all more so real. I pretty much bought him to open and pose. 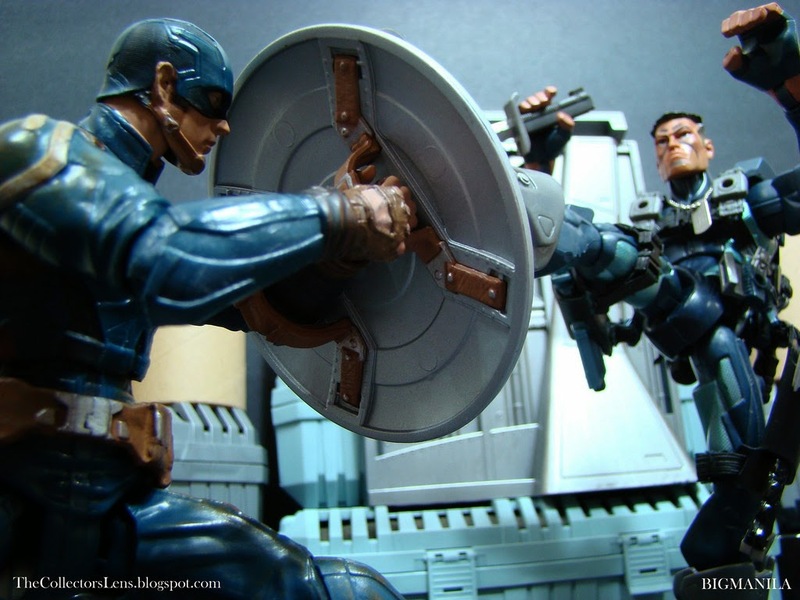 After the Battle of New York, of S.H.I.E.L.D., fighting side-by-side with the Black Widow as they react to crises around the globe. rogers doesn't always see eye-to-eye with Director Nick Fury of S.H.I.E.L.D. 'S methods, but he has respect for the man's ideals, and when the organisation comes under attack, Captain America must investigate who is behind it all. (TheCollectorsLens.blogspot.com) Facing off against a new enemy, The Winter Solider, and finding a new Ally in high-flying Falcon, Captain America finds himself in a fight to protect the right to life, liberty and the pursuit of happiness is not just Americans, but all of Earth. 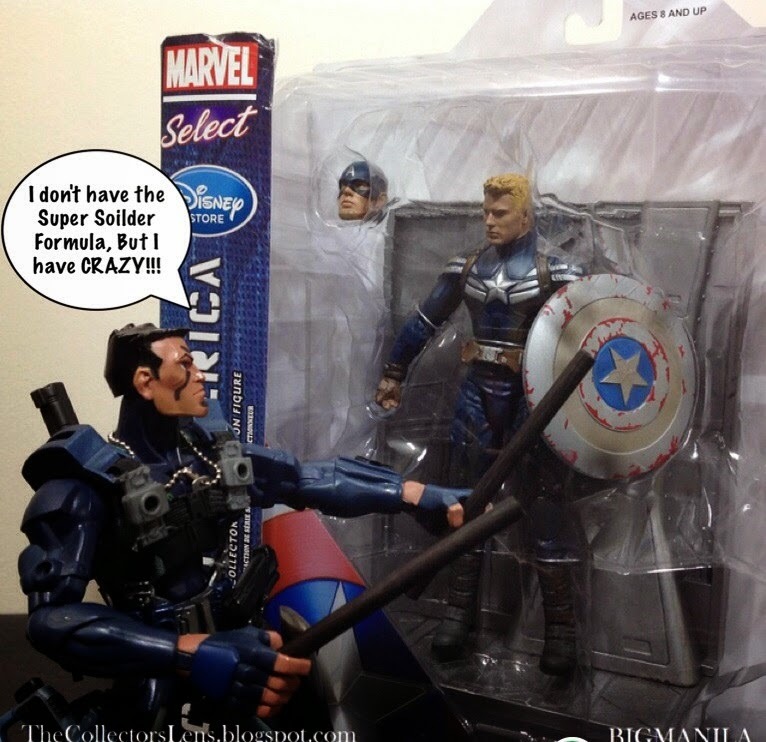 this &" scale Captain America: The Winter Solider, Features 16 points of articulation. Designed and sculpted by Gentle Giant Studios. Exclusive battle-damaged Captain America figure. Inspired by Captain America: The Winter Soldier, it features a dirtied-up paint scheme on his stealth uniform, and interchangeable masked head. Two years after the events of The Avengers, Steve Rogers works in Washington D.C. for the espionage agency S.H.I.E.L.D. under Director Nick Fury, while adjusting to contemporary society. Rogers and Agent Natasha Romanoff are sent with S.H.I.E.L.D. 's counter-terrorism S.T.R.I.K.E. team, led by Agent Rumlow, to free hostages aboard a S.H.I.E.L.D. vessel from Georges Batroc and his mercenaries. Mid-mission, Rogers discovers Romanoff has another agenda: to extract data from the ship's computers for Fury. Rogers returns to the Triskelion, S.H.I.E.L.D. 's headquarters, to confront Fury and is briefed about Project Insight: three Helicarriers linked to spy satellites, designed to preemptively eliminate threats. Unable to decrypt Romanoff's recovered data, Fury becomes suspicious about Insight and asks senior S.H.I.E.L.D. official Alexander Pierce to delay the project. I'll Post more photos of Captain America on my Blog soon. Here just one shot.